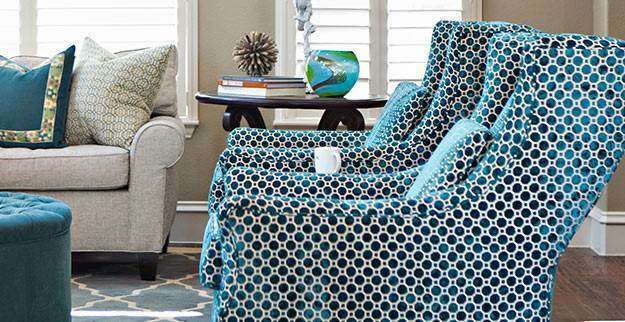 BuyFabrics.com has a huge selection of discounted upholstery fabrics for sale online by the yard and by the bolt with thousands of rolls in just about every color and style imaginable. Whether you are looking for a white Sunbrella fabric, a gray herringbone, a dark blue velvet, beautiful designer décor prints or even a fun purple tiger fabric, chances are you'll find it right here. Our upholstery fabrics are useful for a variety of applications, including chairs, cushions, headboards, sofas, decorative pillows, pillow shams, duvet covers and much more. Best of all, you save even more when you buy upholstery in bulk. 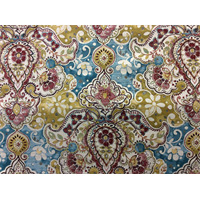 Browse through thousands of our upholstery fabrics sold by the yard, or if you see a fabric that is only sold by the bolt, please call us and we will be happy to quote you a price for a smaller quantity. And remember, even though our prices are cheap, our fabrics are always 1st quality and always from the best mills. Whatever your price range or project size, chances are you'll find the perfect upholstery fabric online right here.